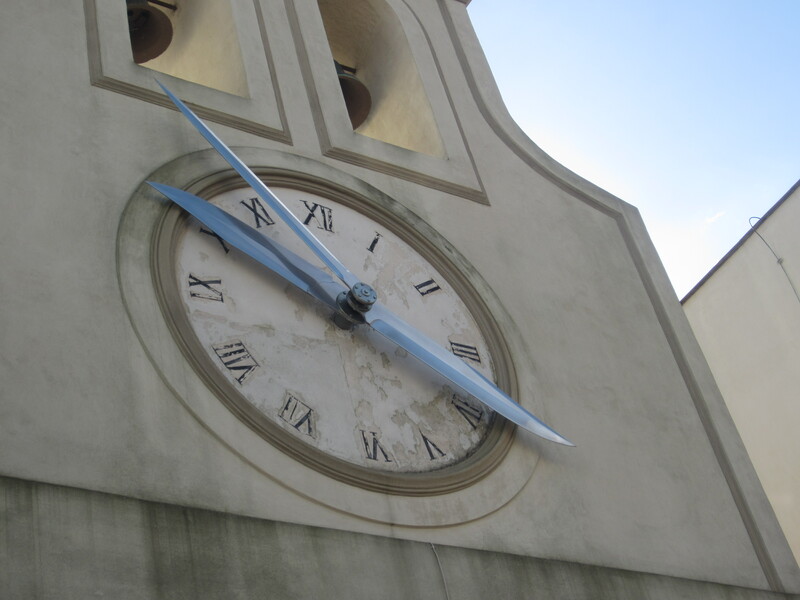 “How Do You Get the Time for That?” My Secret: Revealed! The List of my languages is long enough that I usually forget one or two when listing them from memory. Not only that, I sometimes carry a napkin around me with the list, just in case I get asked that dreaded question again. So that you know, I get asked it about as often as what my name is. But being as the question usually follows when I mention something about an understudied language (anything from Dutch to Northern Sami in terms of cultural breadth qualifies in this regard as “understudied” in my book). We all require some form of entertainment, some down-time. There has to be some time spent doing something positively silly—not exactly a guilty pleasure (although those certainly exist, too! ), but some areas of the time budget that make it clear that no one person can spend all of his or her time working. What would happen if I use all of this downtime for the purpose of maintaining my languages? Instead of silly YouTube browsing in English, I could very well do it in any other language that I know, or, even better, one that I am learning to a significant degree. That way, even my down-time serves a purpose. Then the response usually comes, “well, that means that you can’t always understand all of the downtime TV time, can you? It just isn’t the same”. I associated the English language with most of my life. I associate it with my college education, and my struggles and gains for the first twenty years of my life or so. It wasn’t always like that, however. I remember when I was a child, getting exposed to bright characters and enchanted worlds on a daily basis, usually through some television screen (or home video). I didn’t understand every word of English then, the way that can most certainly be said about my present self. Likewise, this downtime television enables me not only to maintain languages but also to relive my alternate-universe childhood many times over. I’ve noticed that sometimes with certain languages that I know very well (mostly those that are on the top of my list), that I don’t particularly enjoy watching the downtime-television in them, unless I can feel my control of these languages slipping away, in which case I can savor it to relive earlier stages of my learning process. There is so much time spent watching television and leisure activities—and this is true for many, if not all, of us. However, this leisure can also serve a purpose. And if you’re wondering how I have the time to maintain a lot of these language projects, now you know. And now you can do the same for your own world with little worlds. Announcing : Arctic August 2014! Until August 12th, I will be in Germany, France, and possibly a handful of other places. From Paris I will head back to the United States, back to Connecticut, my family homestead, where I will have a visit that is roughly one week. Because I may find time to myself, I will devote that time to ensuring that I speak only one language at a time. 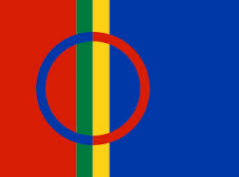 Speaking nothing but Greenlandic for one day (at least) and speak nothing but Northern Sami for another day (at least). There may be some times in which I may need to “break” the vow, but, as odd as it may seem to some of you, speaking these languages have been some of my dreams. I realized my dream to speak Yiddish in the Yiddish Farm Summer program by using a similar English-Free method. I felt difficult doing this in a classroom environment, but now that I may be “home alone” at point, now is the time to immerse myself. If I have the equipment (and possibly one other person around the neighborhood that might be willing), there may also be some videos as well! I hope that you are as excited for my “Arctic August” as I am! Richard Kölbl, the author of the Kauderwelsch Faroese Phrasebook/Mini-Textbook, writes in a tongue-in-cheek manner that the Faroese People spent the long winter nights in the Faroe Islands convoluting their written language and creating making their pronunciation system complicated. That sounds like something that came to my mind upon receiving my very first impressions of Faroese (via the Lonely Planet Guide—the same one that featured this hilarious excerpt). Back then, I could not possibly comprehend how the written language corresponded to the spoken one. Not surprisingly, I had a similar struggle with Danish as well, and am undergoing much of the same with French (although I think that French has the most sensible system of the three). Thanks largely to Kölbl’s book, my struggles with pronunciation have been readily been put at ease. Each word is usually provided with the phonetic German transcription that I will need. The most important obstacle that comes out when I learn a language related to those that I already know well is the fact that I am sometimes less inclined to practice if I can recognize things easily (Dutch was the worst offender, by far—immersion sometimes didn’t help, because I would understand a lot of it already, even if I couldn’t actively call upon a good enough vocabulary to use it in conversation most of the time). Faroese vocabulary in its simple bases presents almost no surprises at all. I found out that the word “ej” (no, none, not having any) and its ilk in the more modern Scandinavian Languages could be related to the Faroese word “einki”, (“ayn-tscheh”). After Swedish, Danish and Norwegian the words that I recognize actively are usually just written down in my notebook without definitions—“eldur” (fire) and “kanska” (maybe) are easily recognizable from “ild” and “kanske”, which mean the same (I used the Swedish examples here). The grammar is the main reason why I have trouble building sentences. Interestingly, the book hasn’t been too helpful with that, but I did manage to find some other books with the verb tables and declensions that I will need. Thankfully after Classical Greek (and many other languages), Faroese grammar can’t really surprise me anymore. That isn’t to say that it isn’t scary—I find the tables intimidating, but it isn’t nearly as scary as the guidebooks I have read make it out to be. I can’t help but think of the modern Scandinavian languages every minute of my studying Faroese. For one, “ein” (one) is both masculine and feminine, as opposed to the “common gender” in Swedish/Danish/Norwegian/Dutch. There is a neuter in Faroese as well: “eitt”. In Swedish, you have “en” and “ett”, and the connection is obvious. Okay, Jared, stop talking about things we may not understand and get to something important. Like feelings! For one, Faroese has been a welcome break from many other languages that I have struggled with. 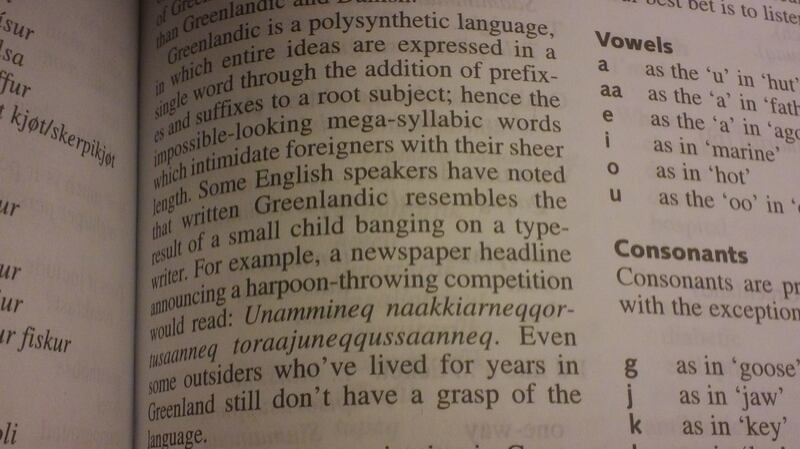 I had no head start with Greenlandic (to say the least), save for a handful of Danish words. I listened to my first Radio broadcast in Greenlandic back in early 2013 and didn’t understand a word. Faroese is different—thanks largely to my prior knowledge of Scandinavian Languages, I do have an extraordinary head start—and this accounts not only for the vocabulary but also for the accent as well. I think that Kringvarp Føroya’s voices do resemble some vague form of Swedish. I find Faroese Music very enchanting, very much like that of Greenland, and I have a knack for humming the National Anthem of the Faroe Islands (my first song in the language, even though I haven’t learned the lyrics by heart…yet). Me: “Next week is the Faroese National Holiday, it lasts for two days and everything in the Faroes is closed. I’ve even encountered a handful of Europeans who don’t even know that the Faroe Islands exist…so maybe this collection might not be as stunning…but something to smile at, nonetheless! (1) Grammar? I’ve been here before. I don’t think it is too much to worry about it. People made a big deal out of grammar in the Finnish Language being tough stuff and I didn’t particularly feel that it was. (2) Cognates? Cognate heaven. Moving on. (4) Pronunciation? I’m growing into it! And a lot more easily than I remember doing with Danish! Heck, I think it’s even easier than French pronunciation at this juncture! But I think the reason this is the case is because Swedish and Danish are hardly mysteries for me anymore, and Faroese can’t be too much of a departure…although it tries to be! (8) I HAVE to pass from a passive understanding of the grammar and many aspects of vocabulary to an active understanding. Once I do that, then color me proficient. So far, it has been a good journey! It doesn’t seem like it will be one that will ever end, though (any language learner knows this…)…and that’s a good thing! I hereby devote this post to a personage who I very much need to thank for making this blog possible, one who enabled me to stop being so self-conscious about my efforts to learn languages (or anything else), and without her help and her example, I wouldn’t consider myself worthy of any polyglot title. She herself may never end up reading this. I remember one time when Isabella the Italian was asking me about my experience learning Russian at Yale University. I mentioned the “ы” sound and smiled at her various attempts to pronounce it. I mentioned that only a few days ago from that point, I had written a post on how to mangle with difficult sounds. For what was not the first and what will definitely not be the last time, I almost bent over laughing. Isabella the Italian is very much unmatched with her honest opinions, the way she expresses them, and her ability to make small talk with just about any human being on the planet. Having arrived in late 2013 to Heidelberg with no previous knowledge of German, her method of applying the language in her early stages was often to just unhesitatingly use an English word when she didn’t know any German one. “Bitte nicht touch-en”, was one of my personal favorite examples of such. Isabella the Italian moved into my suite after having lived in the city for a while. At that time I was still struggling with how to express many ideas in the German Language, and in no small part could this be due to the fact that I found myself easily intimidated. When I was in Stockholm, I was picking up the Swedish language after nearly two months of using mostly English. Not only was my best Swedish friend a teacher of the language for foreigners, but I was also surrounded by many supportive Swedes who would cheer on my efforts, however silly or simple. By the time I left, I was told by a guest that I spoke the language better than most immigrants to Sweden do in three years. I speak the language even better now. On one hand, because of Isabella’s legendary superpower of small talk and friendship making, she enabled me to meet countless acquaintances, German and otherwise, with which to practice my skills non-judgmentally. She also enabled me to rehearse the language in a non-judgmental environment either, and as it turns out that I was the scrutiny that I thought that I had perceived was mostly imagined. Sometimes she had to gently nudge me away from speaking any words of English, and it worked. But her contribution to my own linguistic journey doesn’t lie in that. I remember one conversation I had with her about accent reduction. As an American, a native speaker of probably the most common dialect of the most coveted language in today’s world, I have to do a good job at pretending that I am something else. Most of the time, especially when I am feeling well, it works—sometimes I get mistaken for British (a constant for about six years now), but sometimes I’ve been mistaken as German, Dutch, several types of Scandinavian, and even Czech at one point. But sometimes, people just know I am a foreigner, possibly due to the clothes or the walk or hearing me talk on the phone with my family. One time I asked Isabella the Italian what she did for accent reduction. “I don’t do anything”, she said, “people like my accent”. Isabella the Italian enabled me to complete a transformation from mostly-English-speaking student with some knowledge of many languages to confident speaker of many languages—a transformation that began in November 2012 and was completed by about March/April 2014. She taught me by example how not to let errors or other silly things act as such as ego-crushers in any learning process. Furthermore, she believed that there was a balance between discipline and relaxation that had to be reached in order for a true learning experience to happen—very different from the “work a lot and get good grades!” culture that exists in the United States. One time I was in a grassy field and we were having a conversation about lifestyles. She told me that an ideal life would be that of a bumblebee, one that goes from flowers to flower while “enjoying life”. For most of my adult life, I saw something different when looking at bumblebees: competition for resources. I realized that, especially as concerns an educational journey, especially with foreign tongues, that excess competition and steel-fisted work usually isn’t the best answer. Going from flower to flower, taking opportunities, savoring them with little thought to ego—this enabled me to improve many of my languages in the past year, and I look forward to using the same bumblebee method with even more in the next year. The legend of Isabella is soon headed to Paris, probably the one place on earth where “linguistic chauvinism” is said to reign supreme (although thankfully I have no experiences to speak to this at all). I can imagine that some Parisians may scoff at those who may attempt to speak French as foreigners, but I am very certain that Isabella the Italian will not be one of them. If there is a crisis of education, I am certain that more Isabellas (Isabellae?) would be the solution we would need. I think that the American educational system could learn very well from people like Isabella, who sees life and schooling as something about fulfillment rather than about prizes, jobs and grades. Maybe one day we will learn from the bumblebees and apply that method to schooling. I am still waiting. Today is a sunny day, and ideal for making a listicle! I believe that, given the title, this list needs no real introduction, aside from the fact that I sometimes find myself using the words in question regardless of what language I’m actually speaking. Each of the meanings can be signified with the word in question, and any combination of the meanings can fit in various usages. Anyone who has spent any time in any German-speaking country will attest to this word’s prominence, bordering on overuse. It conveys a certain sense of camaraderie that very few words are even capable of. Literally means “fat”, probably has something to do with meat. It is very easy to imagine how this ended up in its current usage, and those of you who understand anything about Danish culture will more easily imagine how and why. I tell my English-speaking friends that Danish is the only language in which the word “fat” is conveyed as a compliment. If you know of any other languages in which this is the case, let me know. Let’s be honest, this one sometimes is used in English—or rather, English as spoken by some/many Orthodox Jews. Michael Wex, of Just Say Nu fame, noted that this word is very much overused and can convey the same meanings as many English filler words. Just think of the American “awesome” to think about the degree to which this word is used. Means: Let’s go!, Let’s do it! You’re absolutely right! I’ll get that done. As you say. Got it. Yes. I wouldn’t doubt it. Shall do! No other phrase can…ahem… “finnish”…a discussion…or an exchange…quite like this one. Just say it aloud if you need further proof. Means: Don’t bother with it! Disregard that! Doesn’t matter! Not Important! Forget about it! No good! Shoddy. I don’t care. Makes no difference. Who cares?! So what?! Do I look like I care? “Sussa!” is singular and “Sussat!” is the plural, so depending on the object of indifference/light scorn, this word is altered accordingly. This word is “egal” with 70 times the personality. It is pronounced with an accent on the first syllable and the “a” is pronounced like English “at”, but slightly closer to a standard “e” sound, as found in the Romance Languages. Sometimes when I am extraordinarily frustrated (but not angry), but still want to convey a certain sense of class, I’ll use this word, regardless of what language I’m actually speaking at the moment. I really recommend using it whenever possible. It definitely deserves memetic status, and an occasional “sussa!” here and there can work wonders for your feelings, bordering on therapeutic. What are some of your favorite one-word expressions? Share them in the comments! It’s not quite a secret, but French is actually my second language. My father had a desire to visit/work in French West Africa, and as a result bought himself some tapes for kids. My sister and I were quite young children then, and we picked it up, even going so far as to attend weekly French lessons at some point. But then, because of disuse, both she and I forgot all of it…well, almost all. Thanks largely to the not-always civil exchange between France and Britain, not also to mention the Norman invasion, the French language is the biggest source for English import words, more than any other language on earth. Well, good thing that I didn’t. I know this feeling all too well. I remember seeing in a Lonely Planet advertisement that the hardest part of any journey is deciding that you’re going to go. This is true for many things and language learning is definitely one of them. Did I go off topic? Yes, I think I did. I found the pronunciation particularly difficult, but thanks largely to one of my previous linguistic adventures, I didn’t find myself as intimidated. Throughout the lessons as well as trying to grapple with TV shows for children and seeing how many words I could make out, I had constant flashbacks to my first steps in learning Danish. Mention Danish to a native speaker of Swedish or Norwegian and you may get treated to a certain homily about how written Danish is very familiar to him or her, but when it is spoken it sounds “as strange as Chinese”. Both with Danish and with French, I had a lot more familiarity with the written language before I even started studying it to any degree. In Sweden, Swedish, Finnish and Danish are the most common languages (in that order) on product labels. Because I was exposed to it just by sight-reading, I had a “leg-up” with Danish and I expect my French journey to provide a similar advantage. I learned Danish after having studied both Swedish and Norwegian to significant degrees, and similarly, I have had my Portuguese and Spanish adventures (not also to mention some vague knowledge of Italian) that have been vaguely helpful in understanding what little French I encountered yesterday. One way in which the situations are not comparable, however, is the fact that the Scandinavian trifecta’s members are a lot closer to each other than the biggest of the Romance Languages could ever hope to be. Within my first few weeks of Elementary Polish back in June 2011, I remember being frustrated so much by saying certain words out loud that I almost threw my laptop across the room. I imagine that French may frustrate me in a similar manner somewhere along the journey (and all of my languages have, although some more than others…and the journey is continuing with all of them…my native language included), but I keep on having to tell myself that I’ve encountered far worse obstacles. The fact that it is one of the world’s most commonly studied languages will make it easier for me in every regard. For one, every single one of the basic phrases had an air of familiarity about it, thanks largely to Anglophone popular culture. Finnish, on the other hand, provided only about five import words in the whole English language, the best known of which is “sauna”. I’m just on the first few steps. I’m developing a good sense of the phonemes (which are always the most important part and, in some cases, could always use improvement throughout the learning process, no matter how advanced you are). The most important thing that I should tell myself is that I shouldn’t expect magical results instantly, especially when I’m not putting in as much effort as I could. But after Lord-knows-how-many-times of doing the same, I know that already. I have adopted the same mentality in this case. French is just another language. As is Faroese, which I will write about…some other time! (5) Take one of the countries’ languages and translate the other country into that language. One possible result of this word will sound like a word (not the nicest one) associated with that other country (and that word is in English). And here is your answer! Item number 5? “Frakland”, and the word in question is “Frog”. The riddle was correctly solved less than an hour after it came out by the brilliant and wise Julian Tsapir! Congratulations, Julian! You are hereby entitled to write a blog post on this site, on whatever topic you want, even if it isn’t related one bit to any of the existing posts! You are also welcome to write it in any language that your heart desires! (1) I intend to complete the Brazilian Portuguese Tree on Duolingo to its fullest. Thereupon I will have the energy to continue with the French course. Beginning from there, I will go my normal route of media immersion and reading—and I expect there to be a lot of it, more than there would be for Faroese. (2) I’ve already looked into Faroese pronunciation a bit, and I’m going to write a bit on my impressions of the language. This week I am going to Karlsruhe to buy the Kauderwelsch Faroese guide, which will teach me pronunciation better than almost anything. I expect to grow into Kringvarp Føroya the same way that I did with KNR (which currently has the biggest collection of Greenlandic media on the web). As for the third language referenced in the post, the one that my textbook said was a combination of French, Polish, and Chinese—it is on the “back burner” for now, but at some point before 2014 I will bring it up again, definitely in another riddle with more details. And again, I expect that a set of languages in my current collection may be getting the “axe”, but I can’t say for sure which ones. I’ll know when that happens. Two things in the near future: (1) a project for when I am back in the U.S. in August and before my semester begins and (2) I will write a post about my first impressions with Faroese! Until then, wish me luck!